I'm Curious Too: The Underreporting of the Boko Haram Kidnapping Issue: Whose Fault Is It? 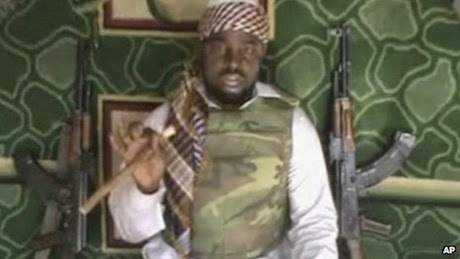 The Underreporting of the Boko Haram Kidnapping Issue: Whose Fault Is It? Boko Haram is a militant Islamist group based in northeastern Nigeria. The name comes from the Hausa language, a language spoken by people in Niger, Nigeria and Chad, which roughly translates to prohibited western education or western education is sinful. Founded in 2002, the organization seeks to establish a pure Islamic state ruled by sharia law. This news irritates me because I find it incomprehensible that slavery still exists in this era of internet, human rights and iphones. And it irritates me even further that it is again being done under the name of religion. 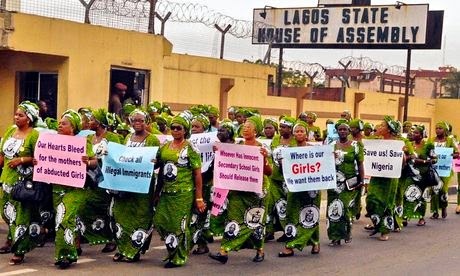 Some reports state that the girls will also be sold as child brides to men in neighboring Cameroon and Chad. Now what baffles me the most is the lack of media coverage on the Boko Haram issue. According to TIME, the missing of MH370 became the lead story "on all NBC, ABC and CBS news shows for 11 weekdays straight." The South Korean ferry disaster, which happened two days after the kidnapping in Nigeria, also had its fair share of coverage. Also not forgetting the crisis in Crimea and the terrorist attack in Kunming train station in China. Even the emergence of a female football assistant referee in Brazil has garnered more airtime than the serious atrocities committed by the Boko Haram. 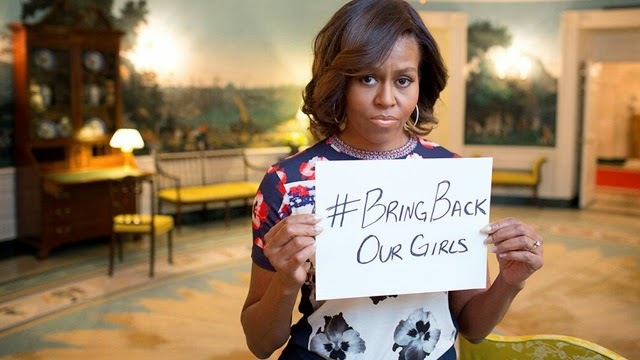 And it wasn't until the beginning of May that western media started to take interest in the kidnapping, a full two-weeks after the event, and the story instantly prompted millions of people, including famous celebrities, to start the #BringBackOurGirls movement on twitter to urge the Nigerian government to take holistic action against Boko Haram. Obama has also pledged to send in experts to help with the rescue mission. But the main questions are these: why the discrepancy? Why has the problem gone unnoticed for so long? Is the kidnapping of 276 souls a crime not worth the media's attention? Why are we leaving out Africa? Why do we have to wait until the arrival of VIPs for the impending World Economic Forum to start reporting about the problem? The media plays a huge role in our lives today. Under the constant scrutiny of the world's media in the first two weeks after the missing of MH370, the Malaysian government had no choice but to step up their efficiency in finding the missing plane. Similarly, the power of media has made Malala Yousafzai an instant celebrity. She's so popular that she now has a publicity team to handle her public image. The media serves as a propaganda tool, and it can dispose a dictator--if used correctly--and it can also enslave an entire nation--like what is happening in North Korea. The fact that the media is not paying attention to the Boko Haram kidnapping issue has given the Nigerian government the perfect excuse to conveniently sweep the issue under the carpet. But let's not forget that they were presented with an opportunity; a chance to bury the story, by the media. The media could have done better and forced the government into taking action earlier. They went to Brazil to report on the female assistant referee instead.